I thought I would talk a little bit about Alt Summit and what happened and my thoughts. It was really for me a great experience, I enjoyed all the classes and parties tremendously. Seeing Martha Stewart was a dream come true. I never thought in a life time I would be able to see her. - After blogging for so long I was not expecting to learn a lot in the classes but I did learn some new talents and I was exited about expending my blogging to a new level. I learned about videos and I think it would be fun for me to do some in the future. - I would recommend to go to the classes you think you need and not to support the friends you know who are teaching classes. You will feel more accomplished. My first day I did so and except for one class I fell like I wasted my time. Although their classes was very interesting but not for me. - I am very shy and I wish I would have talked to more people and took more pictures of everything and myself. I felt like I would be silly to get my pictures taken by myself at the booth but really when do you get the chance to get your pictures taken in a beautiful background by a professional? I know I don't. My advice: do it! I really loved her talk and it's true: it takes a village to raise something or someone and it is important to get help from talented people in their fields.She is surely a very good speaker, beautiful and talented. A great business woman. - I should have rented a hotel room for the conference. I missed half of it because my daughter had croup. She kept me up every nights. - I spent time with local bloggers and met some that I knew online for years and it really made me happy because I have a lot in common with them. meeting new friends that I instantly connected with was really refreshing. I wish I would have been there. I need to rework my blog. I love Martha stewart! Lucky you! 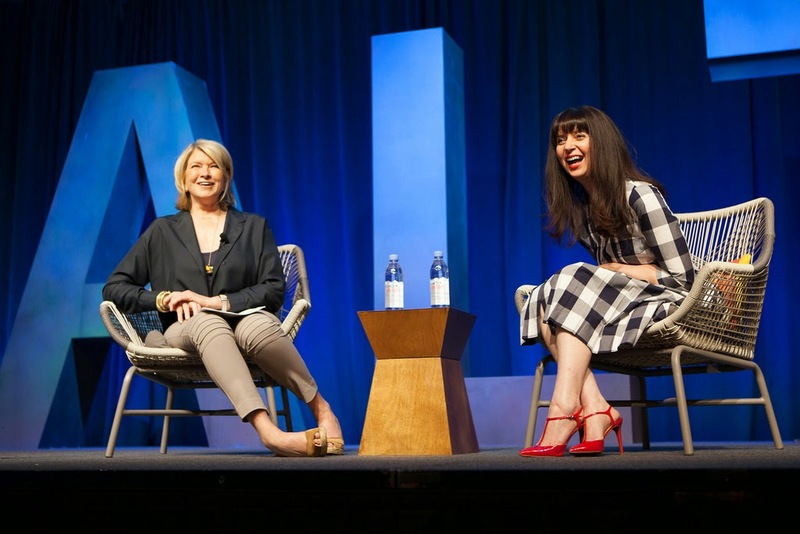 I would love to be at a conference with Martha Stewart, too. I know it must have been very interesting.